Memorize the ingredients list and prepare a delicious hamburger before the time finish. Use the mouse to select the ingredients. 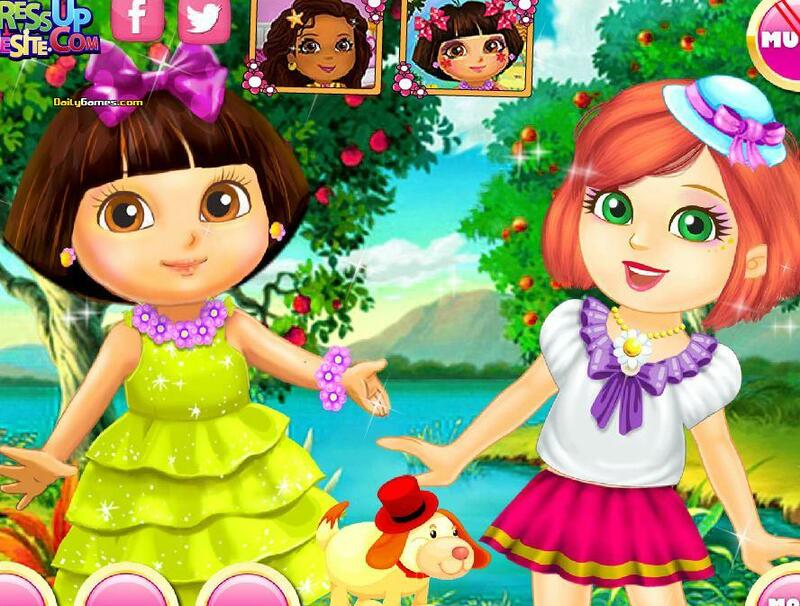 Play and have fun with Dora the Explorer and apply beauty treatments, dress up and make up to Alana, Dora's friend. You can choose a lot of hairstyles, makeups and dresses. INSTRUCTIONS: Use your mouse. Fred is known for being a flirt, and today he will prove it by kissing every girl walking by him. Help him and avoid the men or you'll lose. Move the mouse and click on the cutest girls. You'll get more points and he'll become popular. Help Barbie to clean and to customize her convertible car. Choose the color, the vinyls and the wheels as you like it. Use your mouse. Today Sarah had plans of with her boy but, finally, she has to take care of her little sister. Help her to kiss her boyfriend, paint her nails and do other funny things without being seen by the baby. You work at a spa and you want to have fun without being seen by the boss. Complete a series of games without beight caught! Use your mouse. Help these two friendly elves without kissing Santa Claus sees you. While Santa Thinks click to fill the progress bar, but when the dots appear, quit or lose a life. Use your mouse to play.